1/2 medium sized sweet potato (cooked in the oven first for 60 minutes). Optional: tahini or almond butter to spread. Healthy finger food for when you’re in a rush or on-the-go. Your baby will love them! Lightly whisk the eggs with a fork then mix together with the sweet potato. Heat a tbsp of coconut oil in a frying pan. Pour the batter into the pan into small circular shapes and turn down the heat (you don’t want the pancakes to burn). Cook for two minutes on each side and leave to cool on paper towel, to soak up excess oil. They can be stored for 24 hours in the fridge. 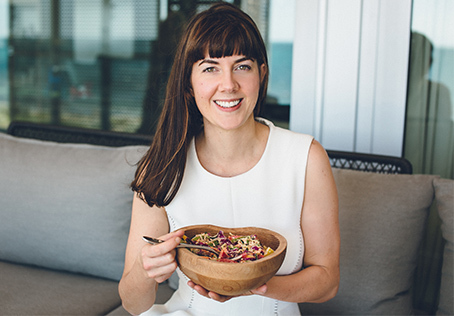 The Balanced Baby brings you food and lifestyle recommendations for the bump and beyond from Laura Bond – nutritional health coach, author, journalist and mother. Sign up to my newsletter for all the latest recipes, blogs and videos.